Callings to Christian service have never been restricted to pastors and missionaries, and this is reflected in our support of active lay workers of various sorts in Romania. We are directed to these normally on the specific recommendation of the pastors we support. This being said, the type of work covered in varies enormously, as the friends below prove. The antipathy between Romanian people and Romanian Roma can be upsetting for foreign visitors to see, although greater knowledge sometimes offers explanations. The vast majority of Roma are without education and opportunities, and therefore frequently resort to crime in order to make ends meet. Also, and perhaps even more galling to the ordinary Romanian, exploitation of the various benefits systems of Europe by certain gypsies has allowed them to build luxury villas in Romania the like of which would cost millions of pounds to construct in England. Many Romanians have their own horror stories. A dear friend, who is a frequent helper of gypsies, was rewarded for his generosity by the same people throwing a ruined carpet onto his land, which was subsequently eaten by the family cow ( a valuable asset), causing her death. This results in a general unwillingness on the part of the majority of Romanians to accept that any Roma are honest and hard-working, even when at times they clearly are. And the sad consequence of this can be the loss of one of the great spiritual harvest fields of Romania. Not, however, while the Lord is working in the hearts of people like our good friend, Milut! 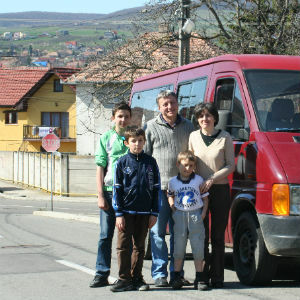 He owns a bright red minibus, which he uses to transport Roma children to the youth meetings of various local churches. Milut has a rapport with these children that is remarkable to see, caused, he claims, by his having been nursed by a gypsy mother when a baby. Romanian Ministries makes no comment on the veracity of this particular story(! ), but helps him with the costs of petrol for his ongoing work, and pays for occasional group excursions. 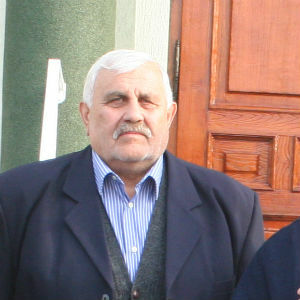 Bucur is a retired man and a member of Doru’s main church in Campia Turzii. Sunday mornings, however, almost invariably see him travelling over 15 km to preach at one of Doru’s satellite congregations. This is in the village of Calarasi, a village of such rural attractiveness as to take one’s breath away upon arrival. Bucur leads the morning time of worship, encouraging others in prayer and also to testify of how the Lord has blessed them. He also preaches and leads communion services. The use of this serious, godly man in this sort of service is perhaps a lesson to churches in the Uk, and, as an encouragement to him, we meet the travelling costs of his ministry. Viorel is located more centrally in Romania, living in the historic city of Cluj Napoca (which traces its history back to Roman times). A metalworker by trade, he also has a pastor-preacher- youthworker-everything else role in a church thirty or so kilometres from the city, in the village of Topa Mica. Vio is clearly the Lord’s man for this area, as proved by his knowledge of locals and the good relations he enjoys with them. It was most touching to join him once when he visited an elderly member of his congregation. The man’s name was Ion Cocut, and cousin to one of Romania’s leading pastors, Joseph Ton. Living alone and never having married, with none of the name and reputation of his illustrious relative, Ion answered our concerns for him by saying (with deep sincerity) “I am never alone, because the Lord is with me”. in High School entrance levels in the village and the strengthening of the church’s relationship with them. Seeing that these classes had ceased for a lack of funds, Romanian Ministries has intervened and now helps with costs on a six-monthly basis. A new addition to those we support, Iosif Ciungan is a quiet and unassuming Christian man from Aiud, central Romania. Amongst the hefty Romanian men (a pork-rich diet perhaps to blame! ), Iosif would be perhaps one of the last to stand out. A carpenter and furniture maker by trade, and highly skilled at ornate woodwork, he also has a valuable ministry in his town’s prison. The prison itself has an interesting history, built as it was when Transylvania (this part of Romania) was under Hungarian control. Its external appearance can be misleading. When shown photographs, people from England have looked at its yellow and green walls and elegant architecture and mistaken it for a hospital or some kind of school. The barbed wire of its perimeter, however, tells the real story. 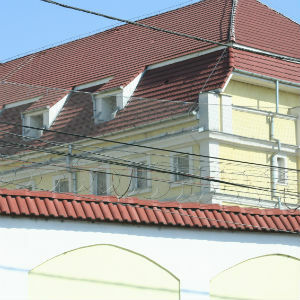 Legendary Christian pastor Richard Wurmbrand, during his twelve years of incarceration in Romanian prisons, spent a short period in this jail. In the communist era, up to 10,000 inmates were held inside, before regime change and new policies decreased the number to just under 1,500. 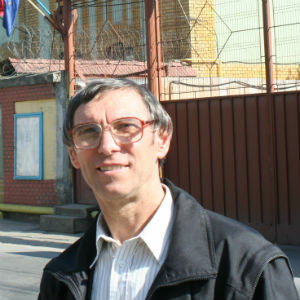 Iosif visits the prison on Wednesday mornings, and has done so for 21 years. He organises a Bible study for approximately 12 prisoners, run along discussional lines, and hands out Bibles to those who wish to have one. He also prepares packages of basic amenities for prisoners described as “necautati” (meaning never visited), whose gratitude when given some even as small as a handkerchief is a wonder to see. High School entrance levels in the village and the strengthening of the church’s relationship with them. Seeing that these classes had ceased for a lack of funds, Romanian Ministries has intervened and now helps with costs on a six-monthly basis. 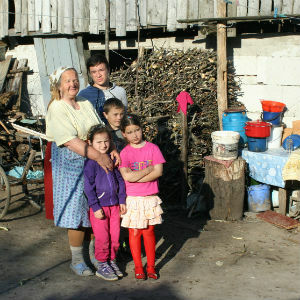 One of the families (left)from the village where Vio works. What a typical Romanian storage barn in the background! The young man in the back of the photo, Vlad, is one of those who has attended Vio’s Saturday morning tutorials (see above), and he spoke very positively about what Vio had arranged. Feeding time (right)! 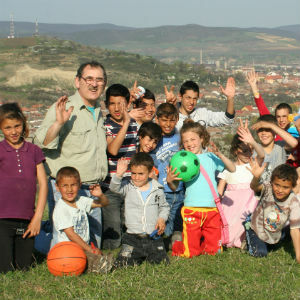 Each visit we take to Romania sees an excursion for some of the poorest gypsy children we know. 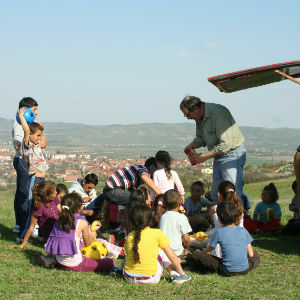 On this occasion, we went with Milut to a location up in the Romanian hills, and when the food was brought out, it was most welcome! 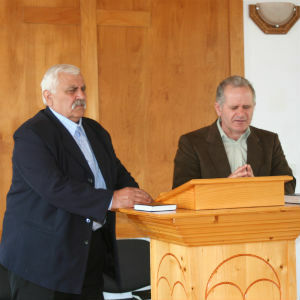 Bucur and Cornel leading the service in prayer during our visit in Spring 2013. The church is what could be fairly described as a typical small Romanian chapel, beautifully crafted from attractive materials. 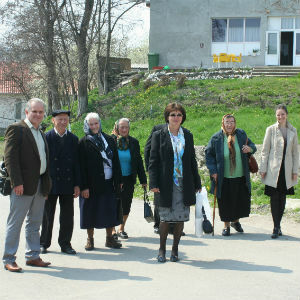 Some of the congregation from Bucur’s church following their morning service. Romanian people often leave their place of worship quietly and quickly, and then enjoy some fellowship on the relaxing walk home! Vio amidst some of the youngsters from one of his young people’s groups. Three of those who attend his Saturday morning tutorials are in the photograph.